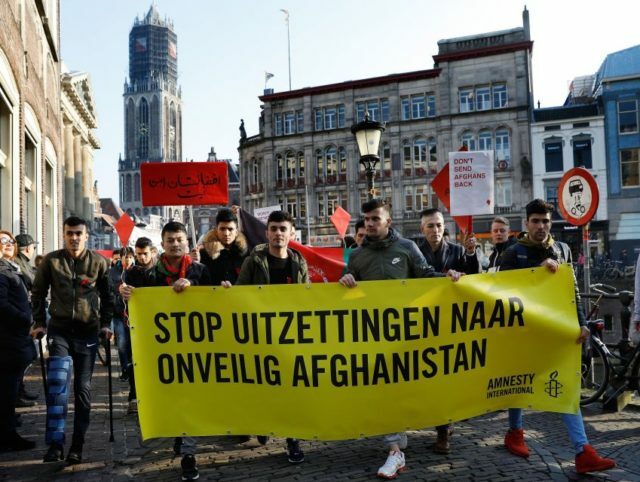 The number of low-income households in the Netherlands is rising as a result of an influx of migrants from the third world, the majority of whom end up on welfare, according to government figures. Figures showed the number of households with an income on, or just above the poverty line, rose for the first time in four years to reach 599,000 in 2017 — a figure which marked an increase of 27,000 from the previous year. Statistics Netherlands reports that around a third of the rise in households at risk of poverty — the proportion which rose to 8.2 per cent of 7.3 million Dutch households from 7.9 per cent in 2016 — was due to an influx of “mostly Syrian refugees”, who it notes “have received a residence permit, but are mostly dependent on welfare”. Just under 80 per cent of all Syrian households have an income below the low-income threshold, and taxpayer-funded income support is the primary source of income for 95 per cent. The figures for households headed by an Eritrean were slightly higher than for Syrians, although the poverty risk fell from 83 to 80 per cent in 2017 according to the CBS data, which revealed that around 53 per cent of refugee-background households have an income around or below the poverty line — over six times the average in the Netherlands. Breitbart London has previously highlighted analysis by Dutch immigration researcher Jan van de Beek, who warned that the Netherlands’ welfare state will not survive unless the country closes its doors to migrants from the third world, each of whom over their lifetime costs taxpayers an average of €120,000. In an interview with AD earlier this year, Mr van de Beek argued that “the indigenous are financing an unemployed minority underclass,” pointing out “there are more than 2 million non-Westerners and more than 13 million natives living in the Netherlands yet there are already more non-Western welfare recipients”.